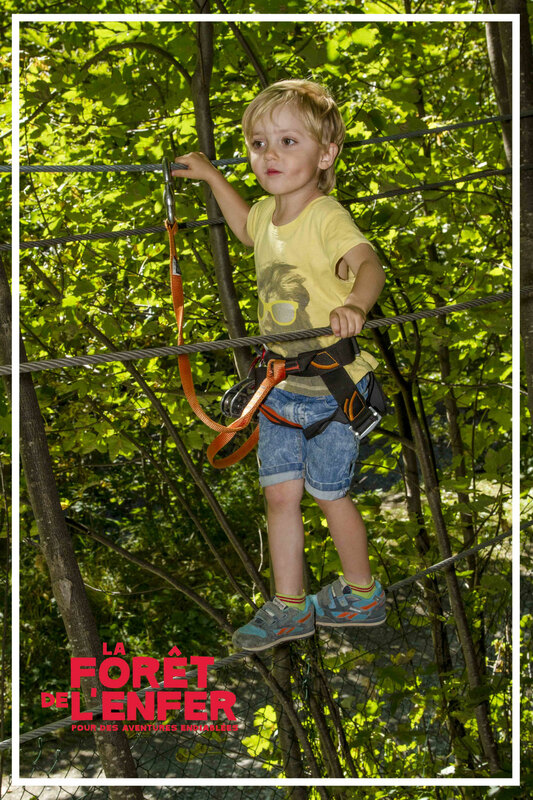 ADULTS & CHILDREN FROM 2 Y.O. 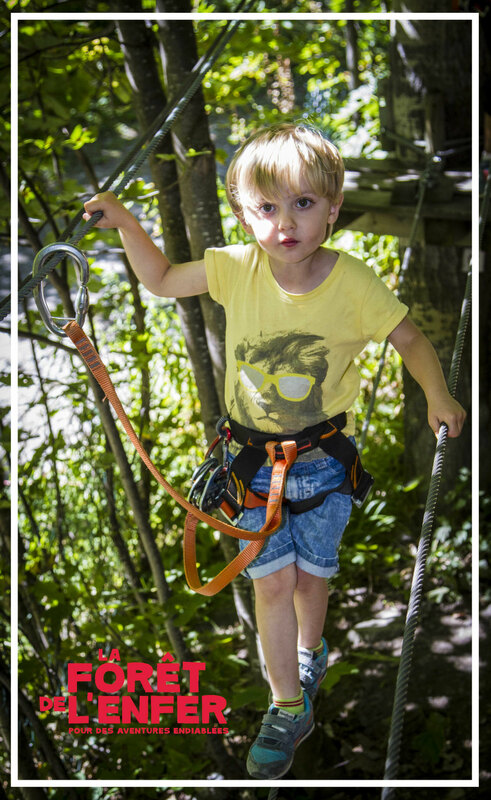 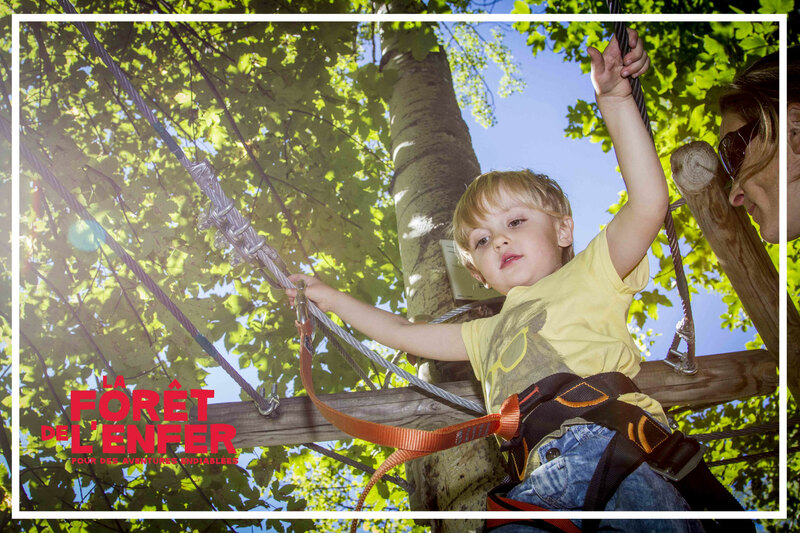 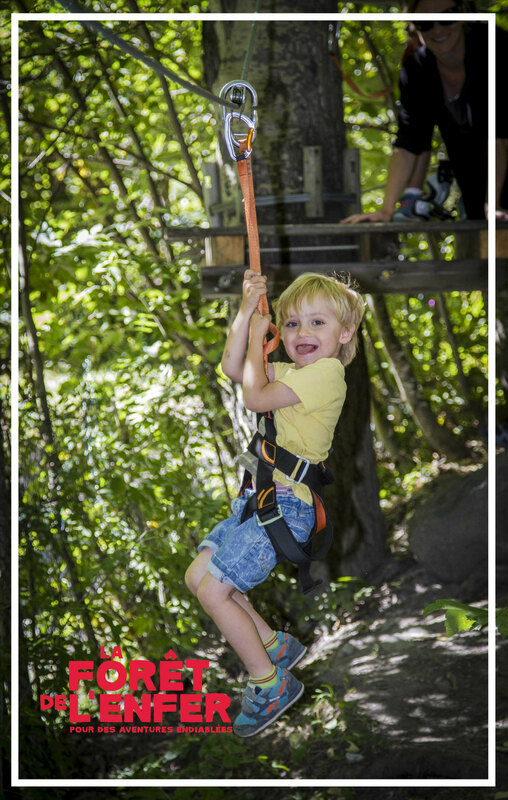 2 Kid and Super Kid courses for children from 2 years old..
2 Practice courses to understand how to move in the trees..
2 Green - Discovery courses to gain trust. 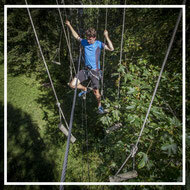 1 Blue - Adventure course to dare a bit more. 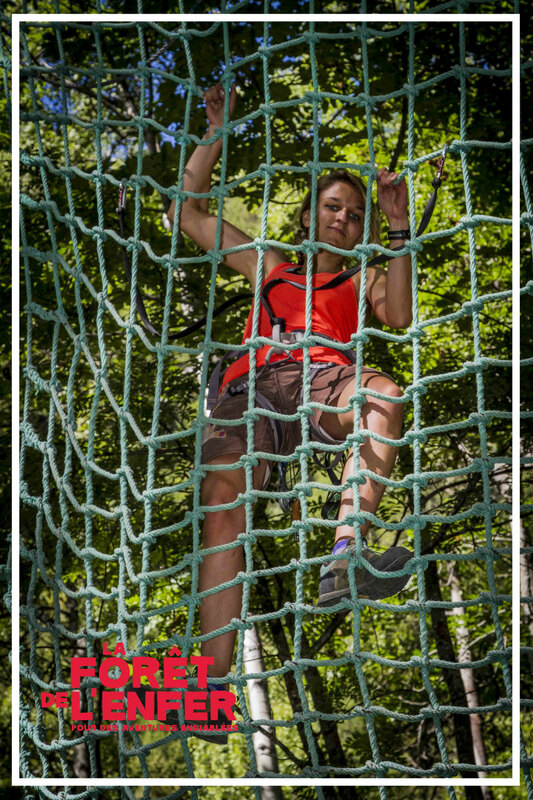 1 Red - Challenge course for the most courageous. 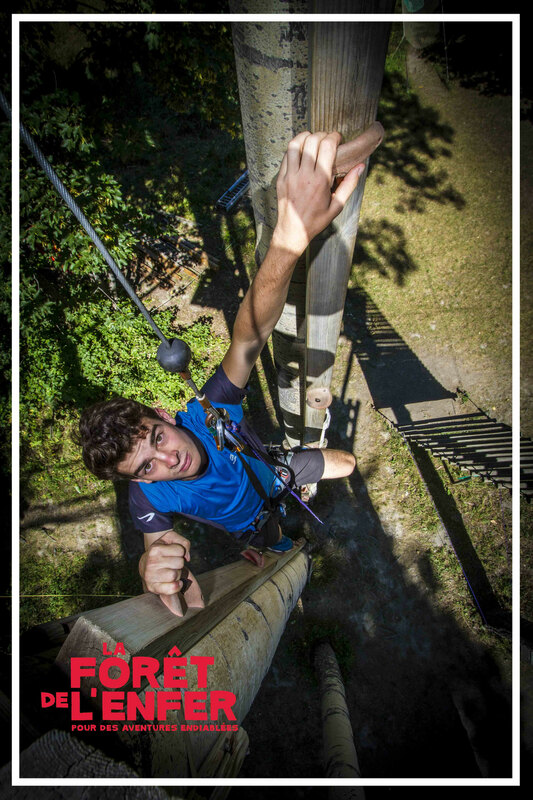 1 Black - Commando course to test your own limits. 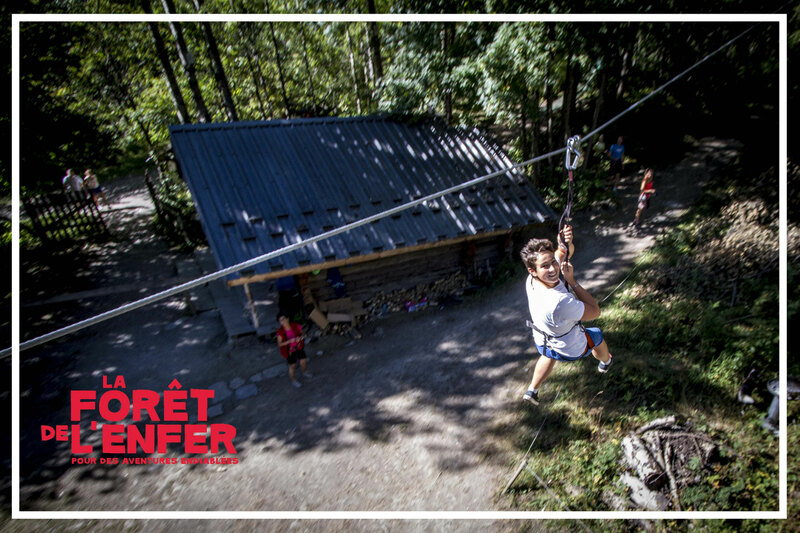 1 Super Black - Extrem to go further. 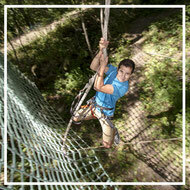 Continuous Life Line on the Children, Discovery and Adventure Courses. 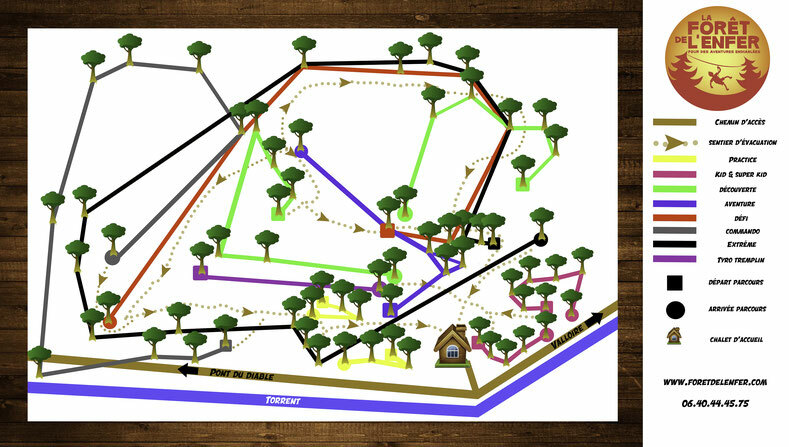 To play in security. 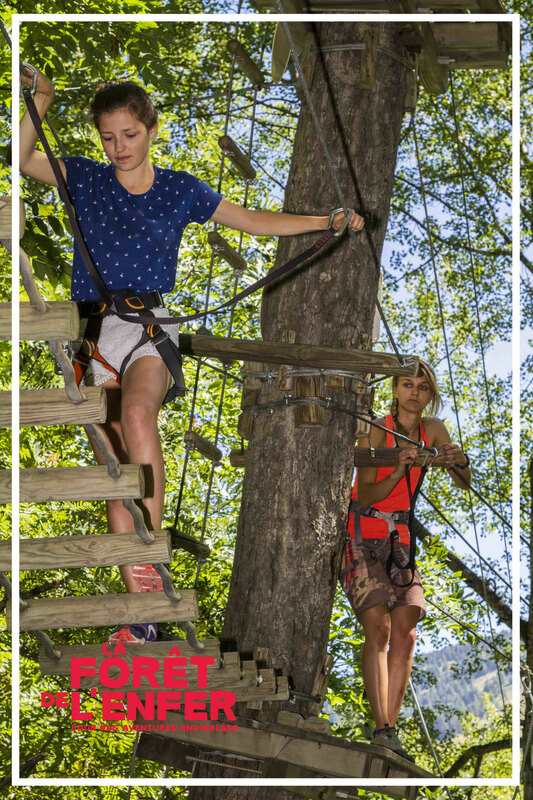 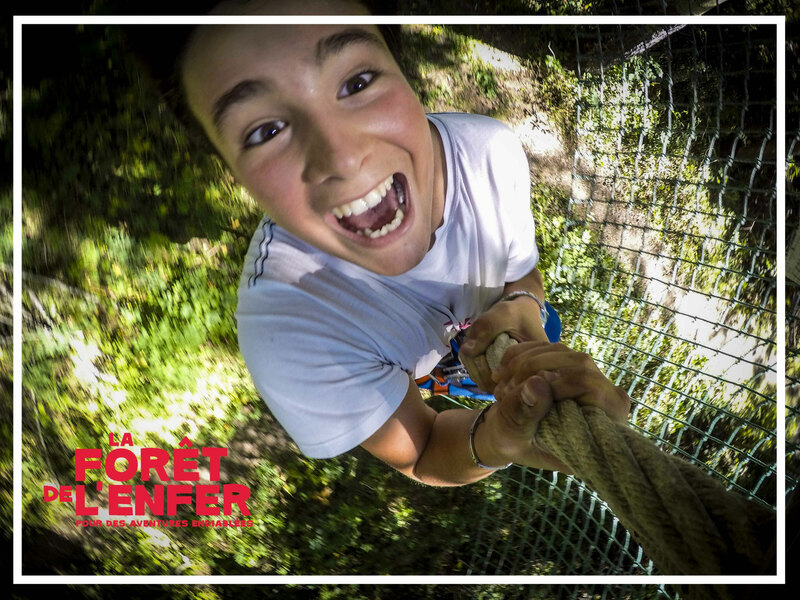 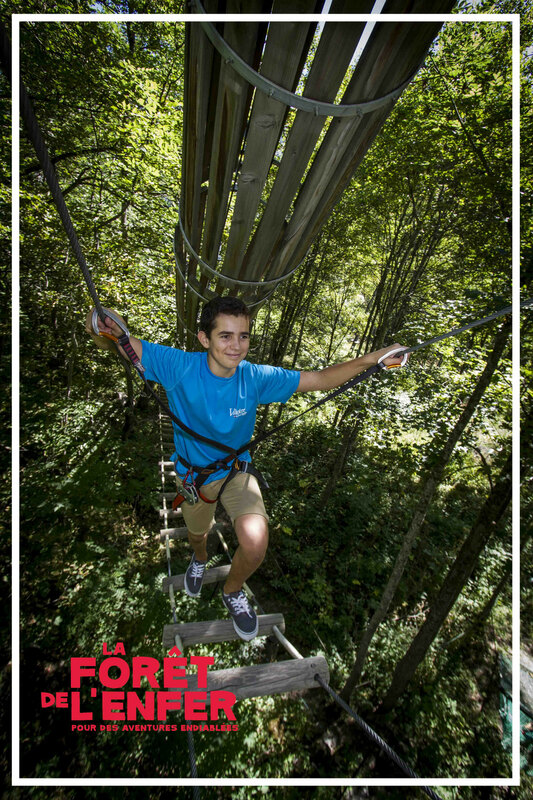 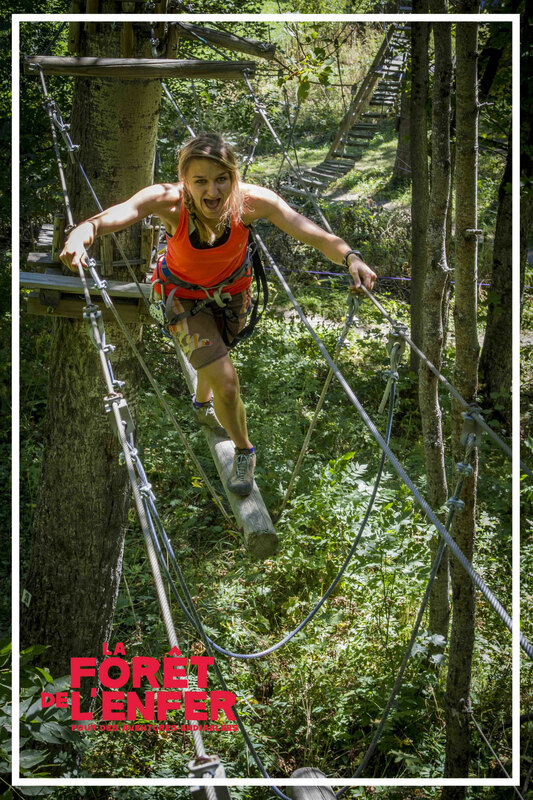 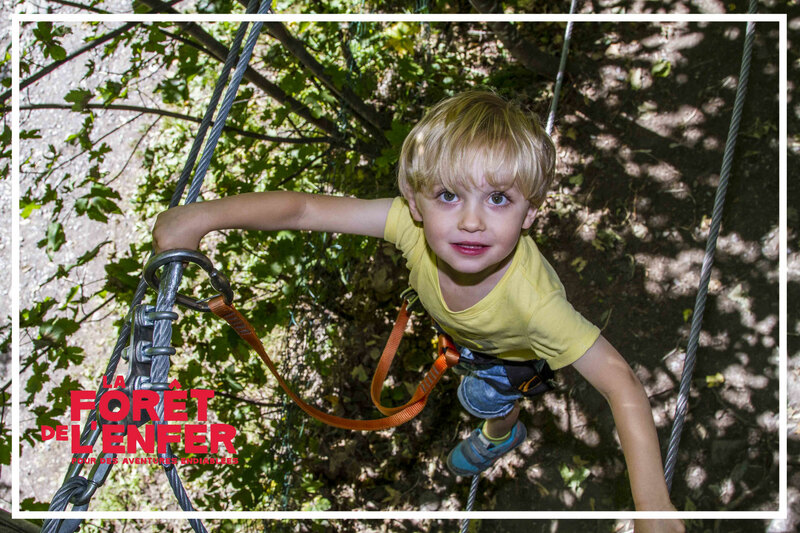 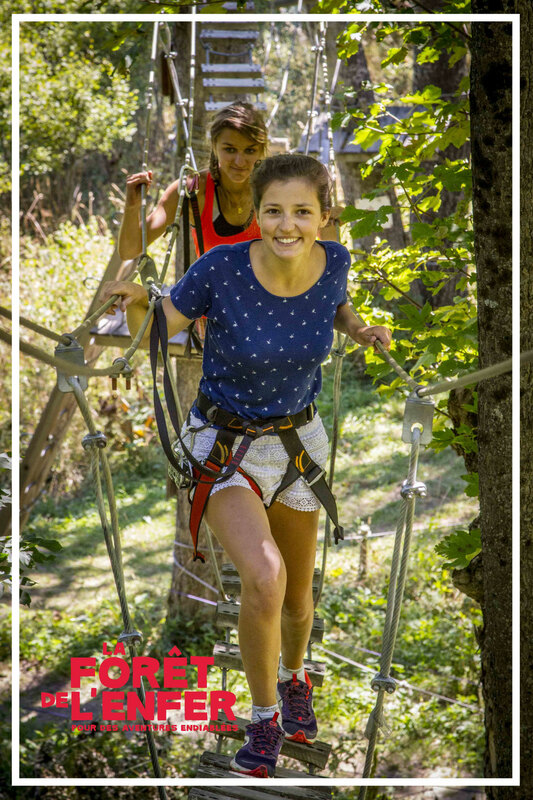 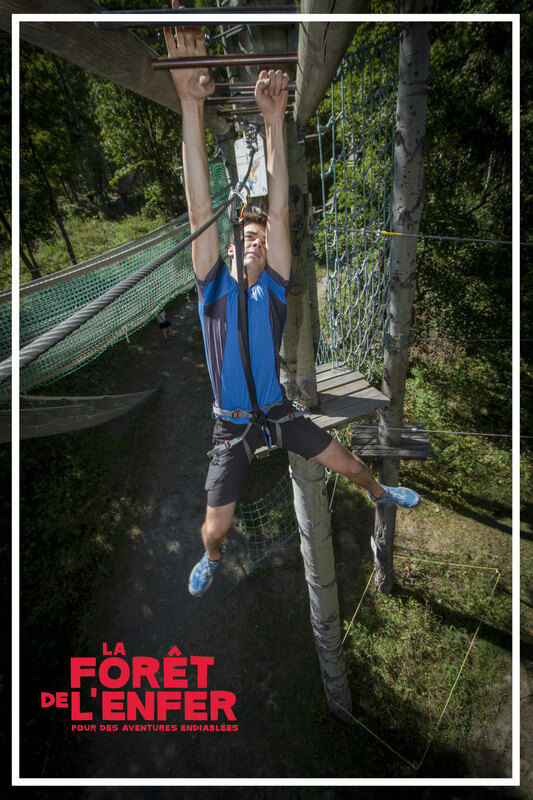 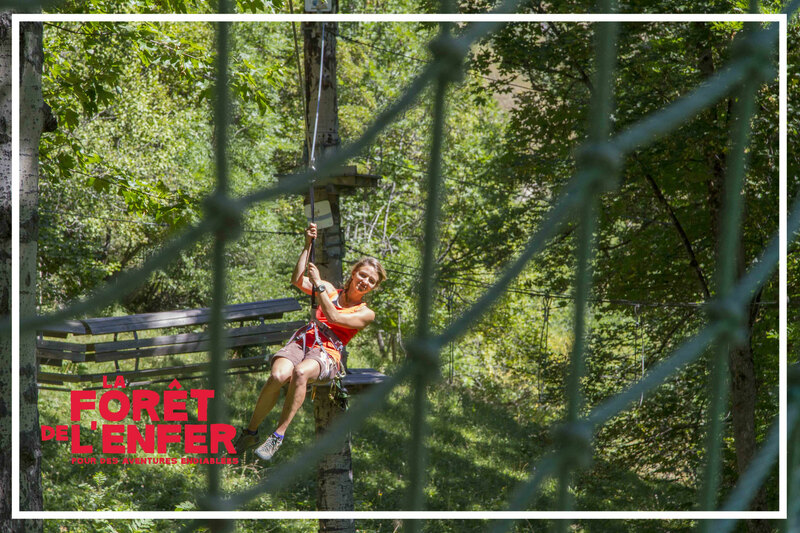 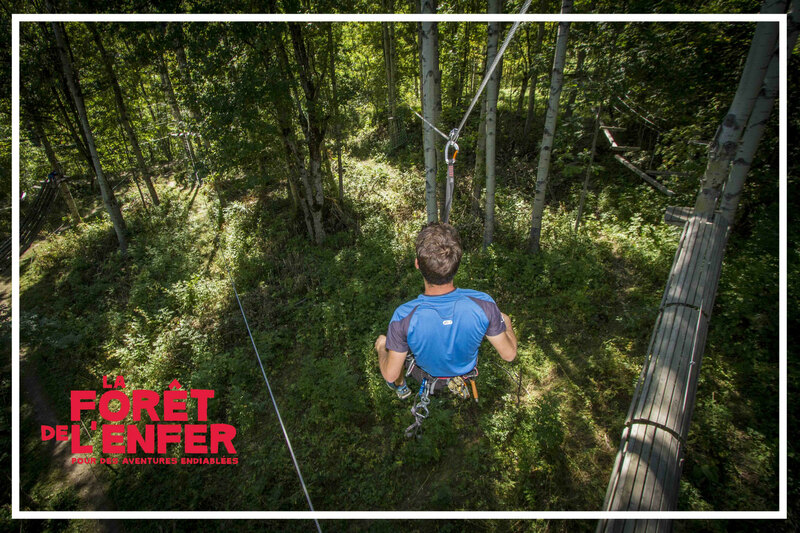 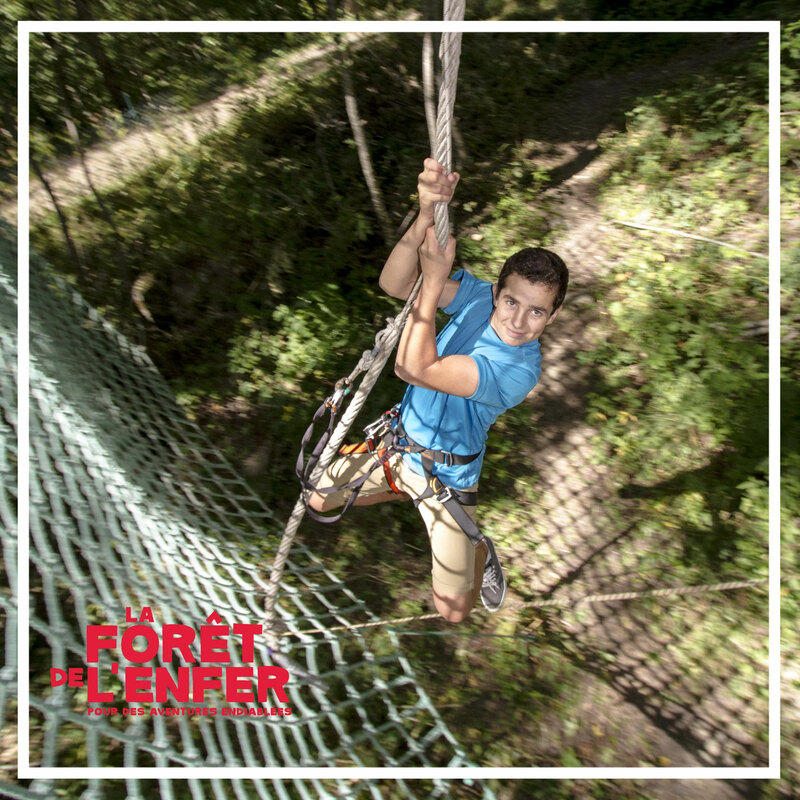 Monkey Bridge, Tarzan Jump and Pirate Scale are waiting for you all along the 9 Courses. 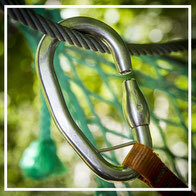 All the Staff is qualified with CQP OPAH. 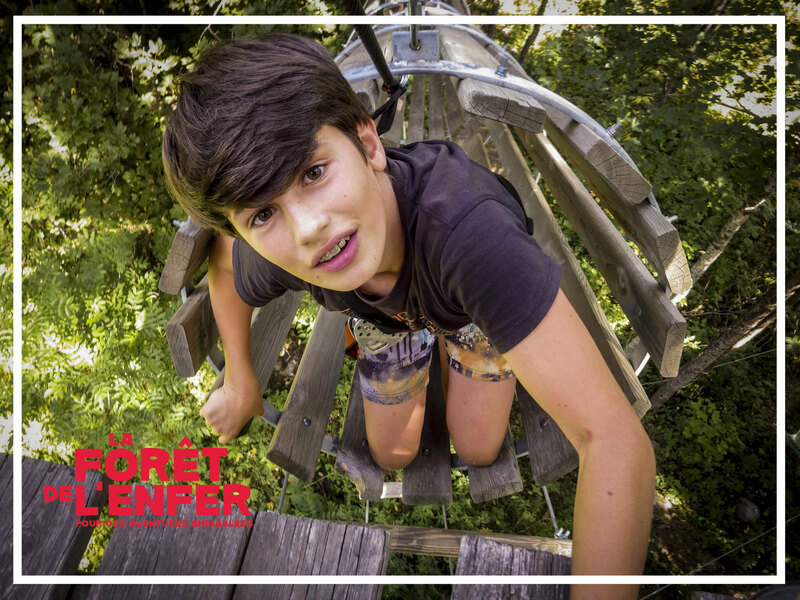 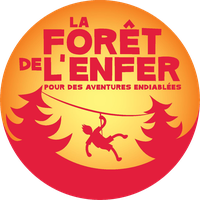 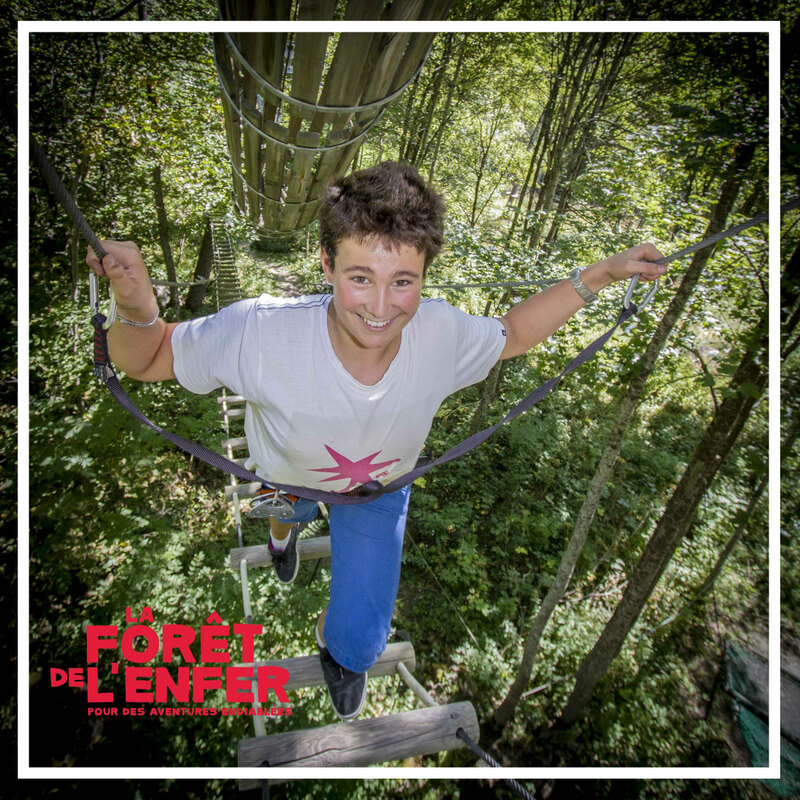 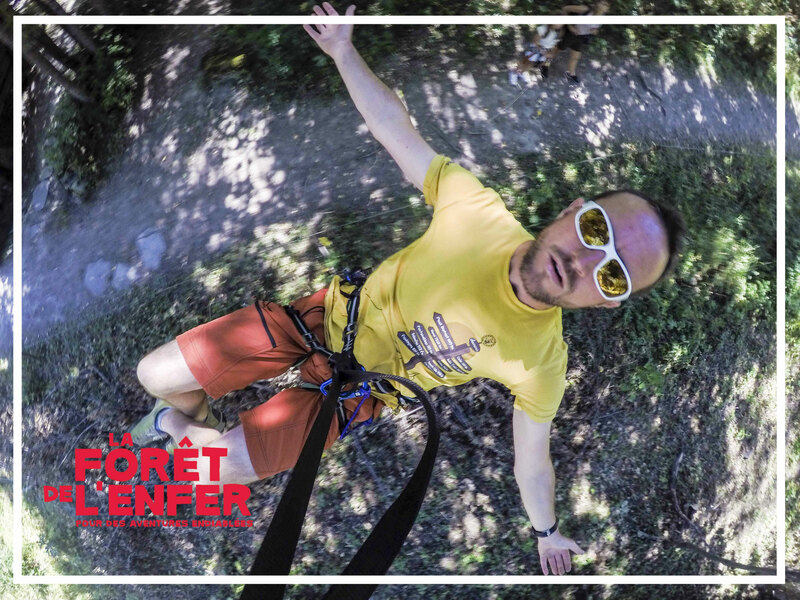 La Forêt de l'Enfer est agréée par Jeunesse et Sport.